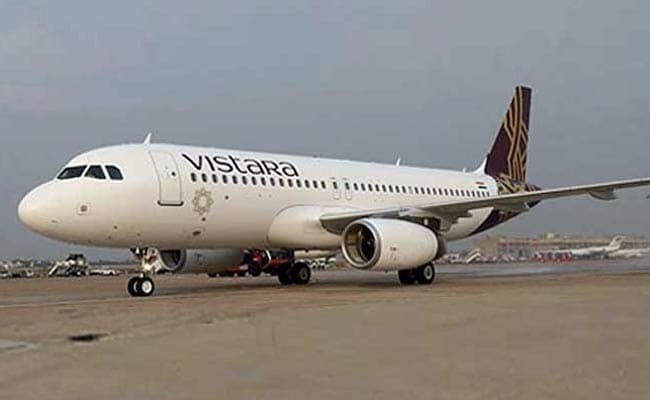 Air Vistara Rejects Passenger's Tweet Claiming "Cockroach Found In Meal"
Air Vistara Rejects Passenger's Tweet Claiming "Cockroach Found In Food"
Air Vistara clarified that the insect was not on or from the food. Instead, it may have come from outside the aircraft when the doors were open. The airline also said that it regularly fumigates all their aircraft. The airline said "the insect was not on or from the meal"
They also said, "despite regular fumigation, insects still find a way"
A passenger on board a Vistara flight on Tuesday complained of spotting a cockroach in his food. The airline has rejected the claim. The passenger took to Twitter alleging that he spotted the "cockroach in my food". The airline in its reply to the passenger said "the insect was not on or from the meal and we are fumigating the aircraft regularly". In a series of tweets, the airline, however, said, "despite regular fumigation, insects still find a way in and we apologise for the inconvenience caused. As the aircraft doors are opened regularly on ground, insects can sometimes still find a way in despite our best efforts of fumigating the aircraft." The incident comes a few days after the government ordered an investigation last month after a doctor was allegedly manhandled and deboarded from an IndiGo flight at Lucknow airport when he complained of mosquitoes on board. Plane Lands After 28-Minute Delay In Delhi Due To "Dead Bird On Runway"